Ten finalists competed in Ostrava at the multifunctional Gong Hall on June 2 for the title of the most beautiful girl in the Czech Republic, i.e Ceská Miss 2018 (Czech Miss 2018). At the finale night, apart from the crowning of Ceská Miss 2018, Tereza Krivánková Jana Šišková was crowned Ceská Miss Earth 2018. 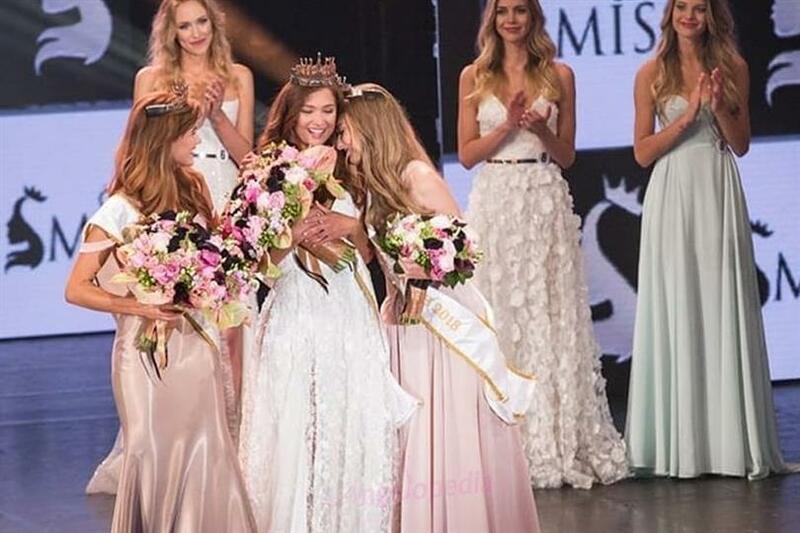 Jana Šišková and Lea Šteflícková were crowned Ceská Miss Supranational 2018 and Ceská Miss 2018 respectively. Tereza Krivánková is a 23-year-old from Prague. Her vital stats are 86 - 62 - 89 (in cms) and she stands tall at a height of 176 cm. The Czech Miss Earth 2018 will receive a charouz car rental a year, a luxury resort in Crete from Pantour, wine from Vinný dum, the purchase of the Italian specialties Cortezolli, the purchase of Gorenje appliances. The crown that Ceská Miss 2018 winners received are glass crowns, painted with yellow and pink gold and platinum. The crown was exclusively made by world renowned artist Gordana Turuk, whose works include British Queen Elizabeth II, Prince Albert II, Norwegian king, Dubai Sheikh, American moderator Larry King, and composer Herbie Hancock’s crowns. The final round was moderated by Martin Dejdar. For the evening program, singer Dara Rolins was the lead star and singer Adam Mišík supported her very well. As part of the final gala evening, the ten finalists were present before the jury for several competitions and took part in rather demanding dance choreographies. The competition had started off with 53 contestants, but semifinalists were chosed along the way. The Top 10 semi-finalists that performed at the coronation stage of Ceská Miss 2018 were Mariana Becková, Nikola Bechynová, Tereza Havlová, Nikola Hemzalová, Lucie Korubová, Tereza Krivánková, Aneta Mitušinová, Amalia Sloupenská, Jana Šišková, and Lea Šteflícková.